Making your own cleaning products is one step to eliminate toxic chemicals from your home. Many recipes can be used depending on the cleaning product you need. One of the main ingredients used in a variety of simple homemade cleaning products is borax. There are many awesome uses for borax you may not know are available to try. 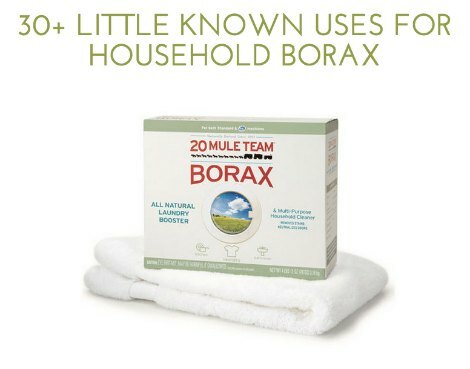 One of the most common uses for borax is for laundry. This means you can use this product to clean an assortment of fabrics around your home. Borax can also be used to clean your carpeting and even the material on your furniture. You might be surprised at some of the uses for borax around your home. This product can be used if you need something to keep pests like roaches and mice out of your home. If you have a box of borax, then you simply need to research some of the best uses for this product.